With a career that spanned more than 30 years, Lisa Lampanelli was a constant on the comedy scene. With numerous tours, Grammy Award nominations, and national TV guest appearances and specials under her belt, Lisa made headlines in 2012 when she lost more than 100 pounds with the help of bariatric surgery. The comedian went on to speak with unflinching honesty about her lifelong food and body-image issues, and has since gone from being an insult comic to being an inspiration. Lisa brings Fat Chance, An Evening of Conversation & Story to The Ridgefield Playhouse on Thursday, April 11 at 8pm, part of Barts Tree Service Comedy Series, Hearst Media Entertaining Conversation Series and Adam Broderick Salon & Spa Whole New You Series, partially underwritten by Reliance Merchant Service. Hosting the evening will be the Daily Show’s Frank DeCaro. Visit Southwest Cafe (109 Danbury Road, Ridgefield) for dinner before the show and enjoy a complimentary margarita with your entree when you show your ticket! Media partner for this event is Star 99.9 Today’s Best Mix. 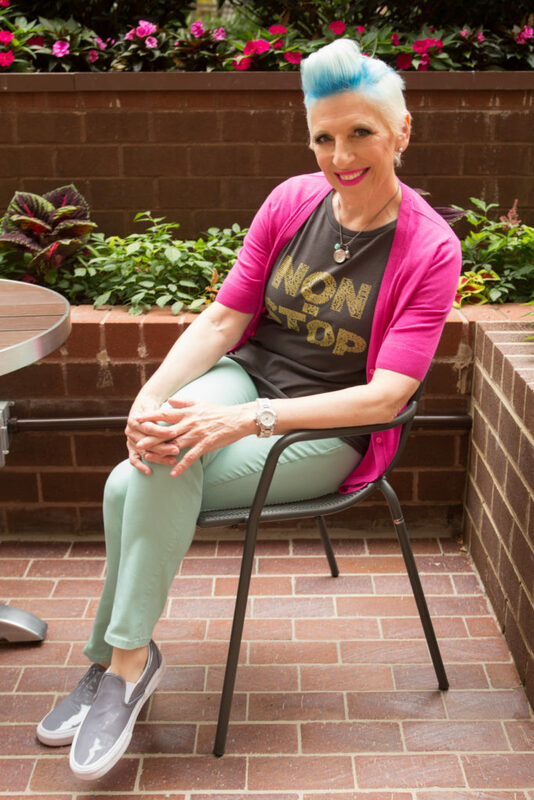 In 2015, Lampanelli shot her fifth stand-up special, “Back to the Drawing Board.” That special not only garnered her a second Grammy Award nomination, it showed off her radically different look and featured stories of her weight-loss struggles over the course of her life. Noticing how these truthful accounts resonated with her fans – many of whom fight similar battles – Lampanelli was inspired to write the play, Stuffed, which enjoyed two off-Broadway runs in 2016 and 2017. The play was intended to motivate her fans to work on themselves and embrace a healthier life through self-love and self-acceptance. In turn, those same fans inspired Lisa to shed her old title of insult comic and dedicate herself to helping others through storytelling events, workshops, and one-on-one coaching. Having become known to U.S. audiences from appearances on the Comedy Central “Roasts,” the Howard Stern Show, and the “Tonight Show with Jay Leno,” Lisa became a household name when she raised $130,000 for the Gay Men’s Health Crisis during season 5 of NBC’s “Celebrity Apprentice.” After having hit every possible career high in her stand-up career – including sold-out shows at Radio City Music Hall and Carnegie Hall – Lampanelli is thrilled to take on this new challenge for herself and for others. 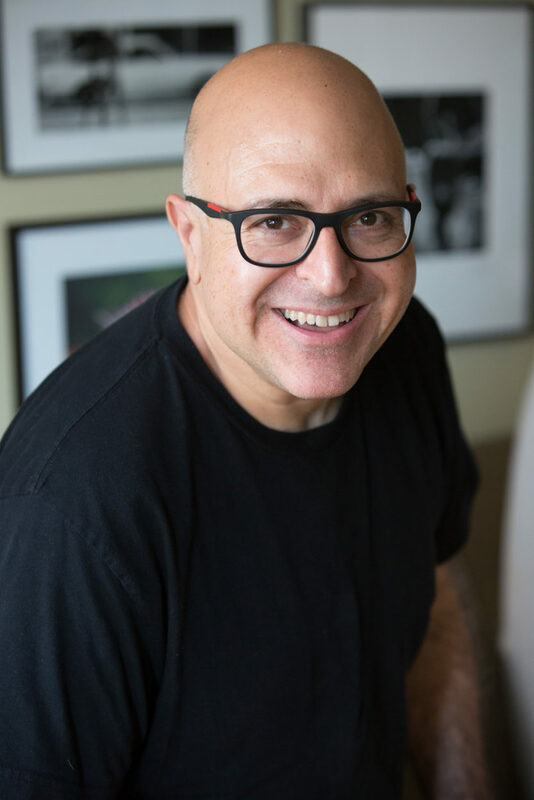 Comedian, actor, author, pop culture pundit, and radio and TV personality, Frank DeCaro has spent the last three years touring North America as the opening act for the extraordinarily funny Lisa Lampanelli…and dieting. He is best known for his 12 years as the host of the daily national radio program The Frank DeCaro Show on Sirius XM, and his much lauded, six-year stint as the movie critic on “The Daily Show with Jon Stewart” on Comedy Central. A writer for TheNew York Times and Spy magazine, DeCaro is the author of five books including The Dead Celebrity Cookbook, Unmistakably Mackie, A Boy Named Phyllis: A Suburban Memoir, and a forthcoming exploration of drag in show business, due out from Rizzoli in Spring 2019. For tickets ($47.50 – $97.50) call or visit the box office, 203-438-5795 or go online atridgefieldplayhouse.org. The Ridgefield Playhouse is a non-profit performing arts center located at 80 East Ridge, parallel to Main Street, Ridgefield, CT.